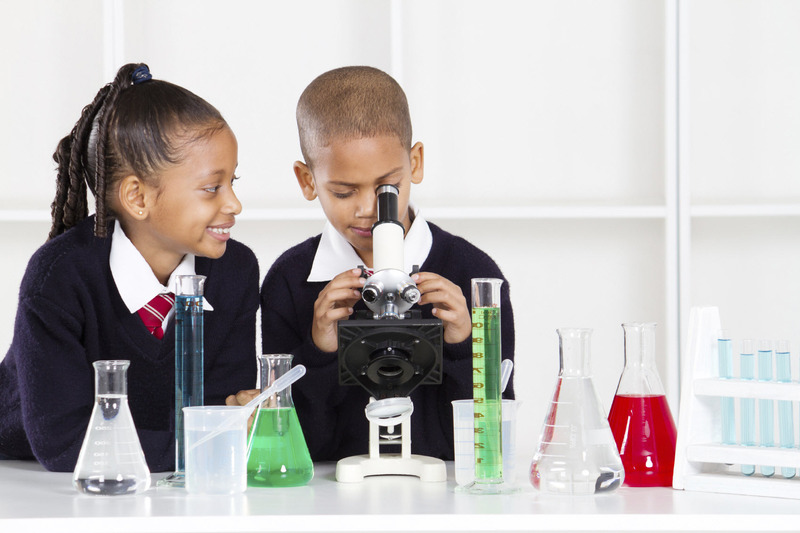 A look at how to improve the quality and experience of STEM education in the U.S.
You’ve probably heard the dire news: American kids are falling behind the rest of the world in STEM (science, technology, engineering, and math) education. STEM jobs are going unfilled because there aren’t enough qualified applicants. The U.S. has a STEM shortage; a STEM problem. But what does it all mean, in real terms, for your child’s education? What is a STEM job, where is the shortage; and how does the need for these workers trickle down to the curriculum taught in your own school? To begin with, what exactly are these jobs we keep hearing about? “If a biologist gets a job in a cancer lab, I’d say that’s a STEM job, even though that person may not spend much time doing mathematics or engineering,” says Raymond Johnson, a doctoral student in mathematics education at the University of Colorado in Boulder. “Likewise, someone who studies ergonomic design might be doing a STEM job, even thought there might be no chemistry involved.” Looking at STEM as its own field, “the intersection of a set of activities and skills that we previously considered as distinct,” instead of relying on our historical understanding of specific jobs and disciplines, “is where STEM education gets exciting,” he says. “Just about every career, from law enforcement to health care, includes a lot more STEM than before,” says Mark Grayson, executive director of STEM learning at Six Red Marbles, an educational publishing and learning design company based in Baltimore. Linda P. Rosen, CEO of Change the Equation (CTEq), an organization dedicated to translating STEM needs into educational action, whose members include major corporations like 3M, Microsoft, and Xerox, says that the organization’s definition of a STEM-specific job includes computer, architecture, engineering, and physical science occupations, but also “healthcare and management occupations that require strong STEM skills,” such as information systems managers or healthcare practitioners. With the U.S. ranked 52nd in STEM education, and Americans losing interest in pursuing these fields, it really does look like our kids’ education is not preparing them for the future. Answering the question of why American kids aren’t ending up in STEM fields is more complex than you might think. Mark Grayson agrees, bringing up compartmentalization as a problem in the current school model. The other side of the equation is the lack of in-depth knowledge and training, what some call rigorous learning. Giving students a deep bedrock of scientific experience is crucial because early interest, even passion, isn’t always enough. What very few people are willing to admit is that actual scientific work can be tedious and boring. The onus is on educators and parents to ensure enthusiasm and deep engagement so that later, repetitive work won’t deter students from pursuing STEM fields. How does all of this translate to the classroom? Penny Dowdy, a curriculum specialist at Six Red Marbles, demonstrates the kind of deep learning that can happen through just one fourth-grade Common Core mathematics standard. At older ages, the question becomes how to maintain momentum in these areas, and provide a solid foundation for scientific practice and methods. The STEM School (recently renamed the Nikola Tesla STEM High School ) in Redmond’s Lake Washington school district has taken this kind of learning to heart, enrolling its students in internships to “tackle real-world problems.” One group recently presented work on a solar light tower project they completed with the guidance of engineers from Genie, a company that manufactures equipment for the construction industry. Raymond Johnson also sees that some of the solutions to our STEM problems might be found in skills and practices that have been devalued over the last few decades. When he worked as a teacher, he taught at one school “with a very successful construction program in which, each year, the students would build a house.” The sale of the house paid for the program, plus the graduates were prepared for employment in construction work. The future of STEM education will ideally bring together all of these practices, crossing curricular boundaries to tap into young students’ thirst for exploration, allowing plenty of time for in-depth learning, and creating opportunities for increased hands-on practice. In that space we’ll find our future engineers, mathematicians, biologists, programmers, inventors, and so much more. There is a dizzying array of programs all over the country dedicated to improving both the quality and experience of U.S. STEM education. The NIH’s Science Education Partnerships (SEPA) grant program currently supports 67 active projects nationwide, such as Seattle-based BioQuest, which offers half-day programs and internships for high-schoolers interested in learning about global health or medical research. The SEPA website allows you to easily search for programs by state. The NIH also provides curriculum supplements for teachers on a wide array of subjects. Change the Equation’s STEMworks programs seek to encourage active, hands-on learning at all grade levels. Washington STEM drives innovation and improvement in STEM education by investing in teacher training, building networks of STEM professionals and educators and advocating for important policy changes.